The Waiting Room (TWR) Resource Key provides an alternative approach to taking control of our own health and well-being – it does this by providing a virtual bridge between services in the community and the people that need those services. Tested initially with 25 GP Surgeries across the South and Centre of Birmingham and several third sector providers, TWR continues to gain momentum with direct engagement from both the public and private sectors both within Birmingham and further afield. 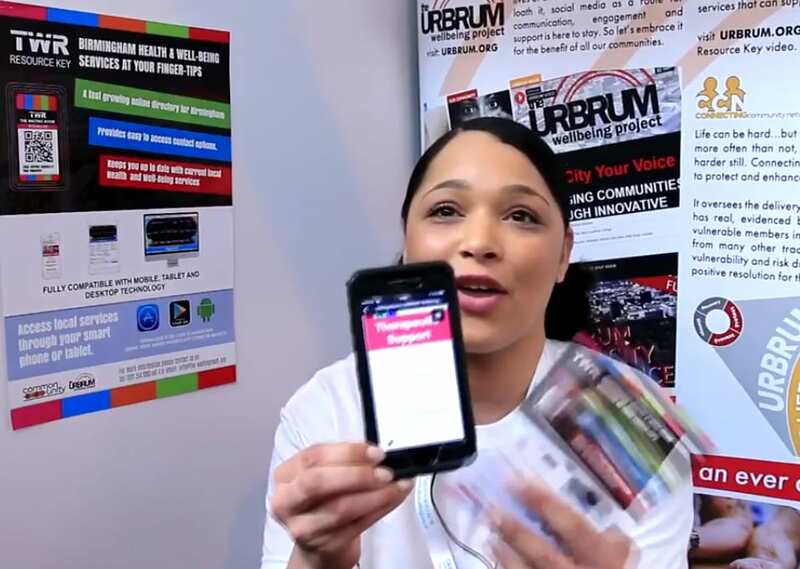 This innovative approach to linking communities with local services and national support has witnessed a tide of support from agencies including the Birmingham Mental Health Foundation Trust, the Local Authority, BITA Pathways, Birmingham Mind, HMP Birmingham, West Midlands Fire Services, Jaguar Landrover, Probation services to name but a few. Our vision that each and every citizen of Birmingham has access to this ever-growing resource that ensures instant access to best support opportunities in “their own back yard” is becoming a more likely achievable goal. Within only 3 months of its initial launch, with a limited number of keys, TWR has now received over 3000 website visits from all parts of Birmingham of all ages. We are now being approached by a range of sector areas across the country with a keen interest in a tailored Waiting Room Resource Key for their communities – whether these communities are within a specific organisation, a specific area or have specific health related needs.